SOUTH Yorkshire’s GMB union was looking for modern offices to serve its staff and members needs for the 21st century. 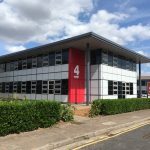 The union, which serves 40,000 members across South Yorkshire and North Derbyshire, moved to Meadowhall Business Park last July occupying 3,750 sq ft and creating new offices facilities plus a new conference and learning centre. The aim of the move was to provide a better working space and encourage more interaction with members. Sue Wood, senior organiser at GMB Yorkshire and North Derbyshire, explains how the move has seen the office and organisation go from strength to strength. “We were looking for a modern workspace which would be fit for purpose for a 21st Century union. “The space at Meadowhall Business Park was ideal, and as we started with a blank canvas we were able to develop it perfectly to meet our needs. “We have really used all the space well here. We have an open plan office for our support staff, individual and two-people offices for the officers, private interview rooms, an activist centre and a training and conference centre, reception area as well as a good kitchen/staff room facility. The space is completely accessible to all our members. “The office has surpassed our expectations – it is very modern and bright and has proved popular with staff, officers and the members who visit on a regular basis. “The Sheffield office is going from strength to strength – membership is growing and our activists centre and conference facilities are very popular. “We also have much closer team working as the office is all on one level unlike our previous accommodation. “The location is convenient to our members in Sheffield, Barnsley, Rotherham and North Derbyshire as well as to our staff and officers. It is easily accessible by public transport, but with parking available too. “We were previously based in the city centre but this out of town location is very easy to get to, very close to the motorway, but also to Meadowhall interchange train station and numerous bus/tram stops. “We would wholly recommend a move to MBP to other companies. It is a great place to be based. 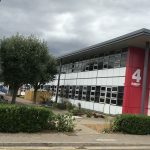 Only suites from 3,750sqft to 7,500sqft now remain to let/for sale at the 70,000 sq ft five-block business park, which is now home to more than 13 companies, employing more than 500 staff. The Sheffield office of Knight Frank and Campbell & Co are marketing the remaining space at Meadowhall Business Park which is located opposite IKEA, less than one mile from junction 34 of the M1, two miles from Junction 33 of the M1, within six miles of the M1/M18 intersection and 25 miles of the M1/M62 intersection. For further details call Peter Whiteley at Knight Frank on 0114 272 9750 or Alastair Campbell at Campbell & Co on 0114 276 5551. 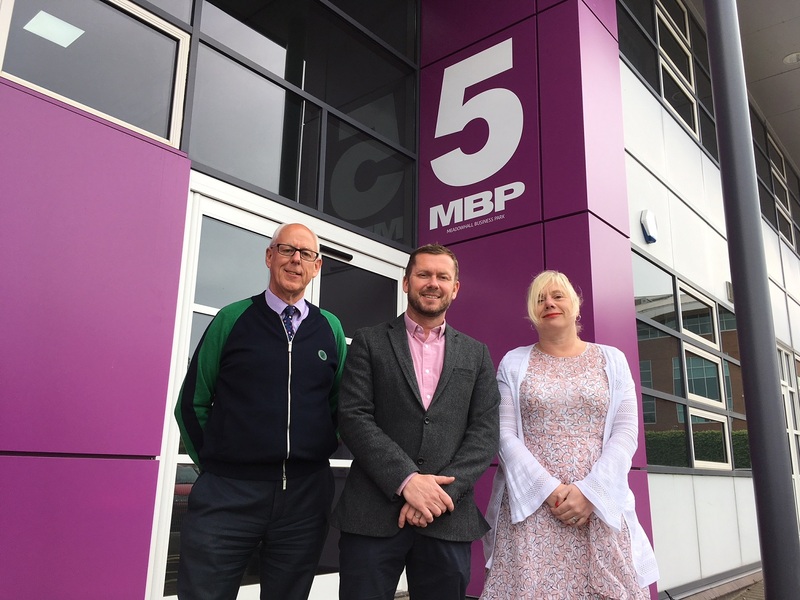 Photo caption: (left to right): Robert Bryant, construction director at ARBA Group, Richard Burns, managing director at ARBA Group and Sue Wood, senior organiser at GMB Yorkshire and North Derbyshire.